HSK (Level 3) examines candidates' Chinese application ability, which corresponds to Level 3 of Chinese Language Proficiency Scales For Speakers of Other Lan-guages and Level B1 of the Common European Framework (CEF). 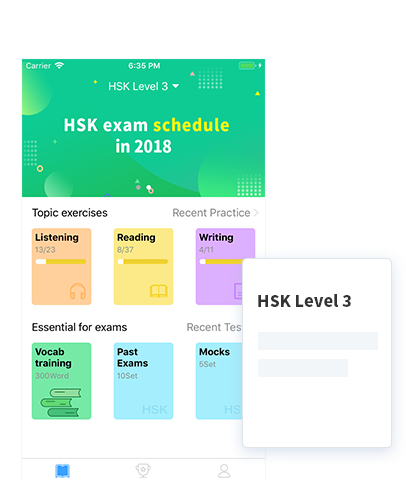 Candidates who have passed the HSK-3 can complete basic communication tasks in life, study, work, etc. in Chinese and can cope with most of the communicative tasks encountered when traveling in China. The whole test takes about 90 minutes (including 5 minutes for candidates to fill in their personal information). 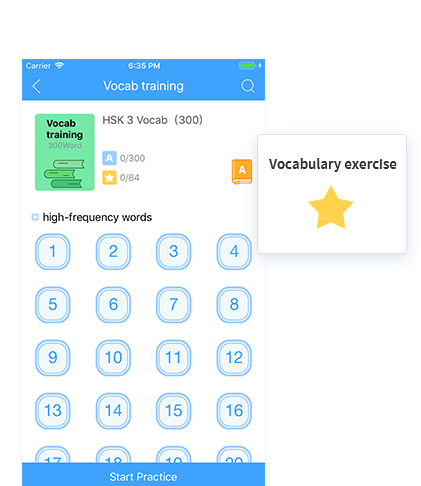 Candidiates need to master 600 common words.